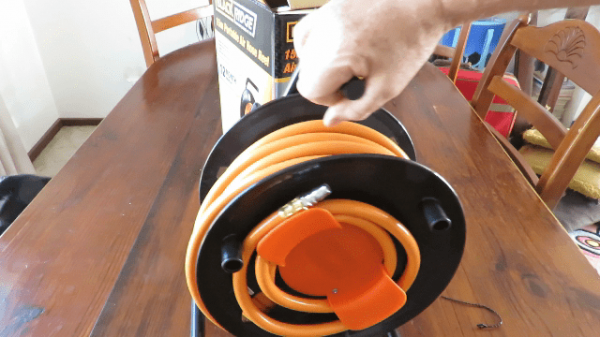 Produced by BlackRidge, the 15 metre Portable Air Hose and Reel is one of those items that will make your life a bit easier when using your air compressor. The need to move the air compressor to a closer power outlet when your hose won't reach, is greatly reduced, and your actual time spent using your air tool increased. So you should feel more refreshed at the end of the day, as you will not be moving, the air compressor or the item your working on. These hose and reel sets are a good buy, and you can always add another one if needed, rather than move the air compressor.